On 17th of October 2015 Gorenje Group marked another successful milestone in Asia with official launching of Gorenje brand that coincide with the opening ceremony of the first exclusive Gorenje showroom in Vietnam. Signing ceremony between Gorenje Group and Thanh Long Service & Trading CO. took place in Sheraton hotel followed by traditional cutting of the ribbon in front of the new showroom. 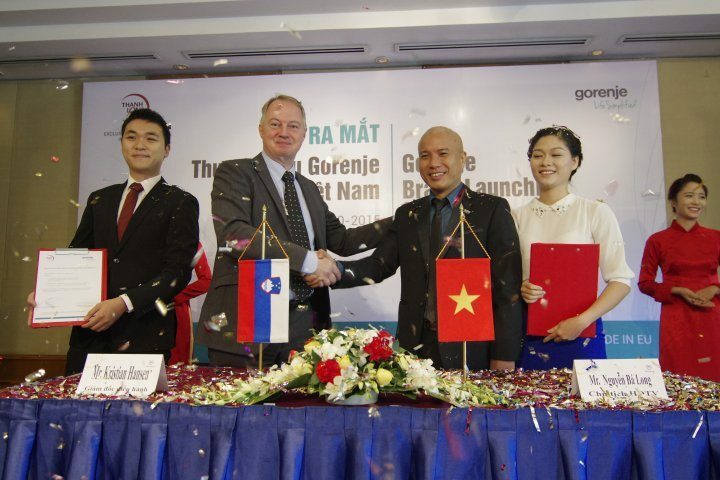 Gorenje Group has long been interested to enter the Vietnamese market. Mr Kristian Hansen, General Manager of Gorenje Asia highlighted: "We were introduced to Thanh Long a few years ago and we became convinced we`ve find the right partner with extensive experience in distribution to carry Gorenje brand in Vietnam." 40 VIP attendees were mainly representative of key future buyers, architects and designer from Vietnam. The feedback received was overwhelming; suffice to say first orders were made already during the event. 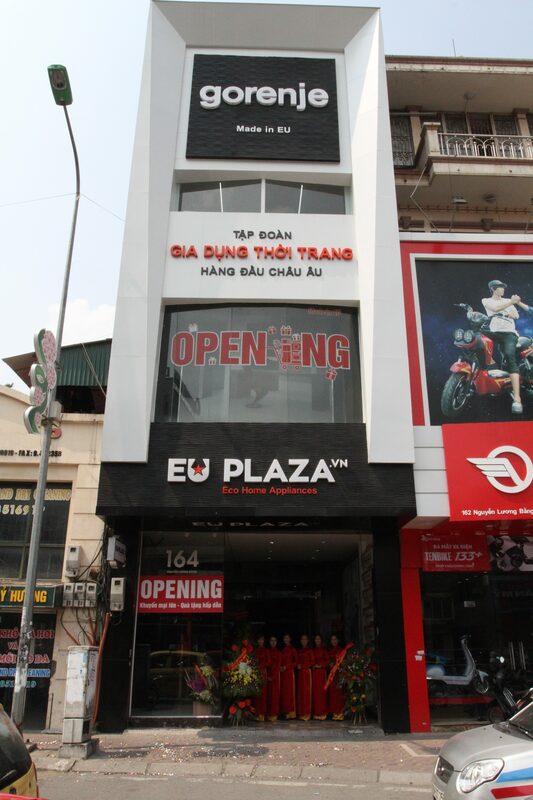 Vietnam is considered to be one of the fastest growing markets in Asia and the demand for quality and high end products from Europe is expanding. Janko Le Ulaga, Regional Sales Manager of Southeast Asia is convinced that with unique design lines and technically perfected HomeMade appliances Gorenje brand can achieve leading share on the market. 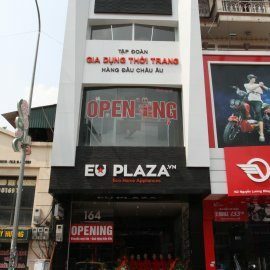 To achieve this goal Thanh Long is planning to build a number of showrooms throughout the country to expand brand awareness.